The natal horoscope is a portrait of a person's life. Health, Wealth, Career and Marriage are the most important and major issues which are of prime concern to mostly all of us. Today, we are living in a materialistic society; therefore, Wealth gets prime importance to everybody. For getting and acquiring all comforts and luxuries, we need money in abundance. 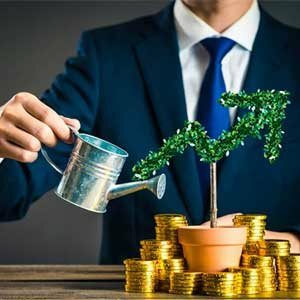 The wealth astrology chart of the native can be read to know how the person is going to manage his finances and wealth throughout his life. There are various ways by which a person can acquire wealth. Some people are born with silver spoon in their mouth and they get all comforts by virtue of luck or Raj yogas in their horoscope. In vedic astrology, one can also know of there is any yoga for financial prosperity in horoscope of an individual. Some people work hard, some use their intelligence, some resort to black marketing, smuggling and all sorts of illegal means to get wealth. But, as far as astrology and horoscope are concerned, the 2nd and 11th houses are said to be mainly responsible for finance. 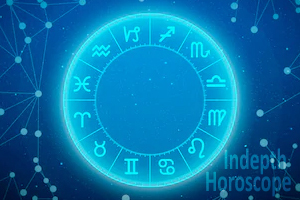 The presence, position and combinations of specific benefic planets in certain houses of the horoscope chart can said to be planet of wealth in astrology. Lagna, 9th and 5th houses also play important roles. Even 10th house, Jupiter and Moon are important for finance. The person is a pauper ever since his birth and lives by alms if the lords of the 2nd and 11th houses are placed in 6, 8 or 12 along with malefics. The association or affliction of 6th, 8th or 12 house in the wealth astrology chart of the native can destroy the ambitious effects of wealth or dampen the financial prospects. The lord of 2nd with lord of 9th occupying the 11th with Moon and Jupiter will make a native a millionaire. Lord of Lagna in a decent position is itself a great asset which sustains a person throughout his life. The best place for Lagna Lord to occupy is the Lagna itself. Even strong Sun at a benefic place from the lord of Ascendent is a great asset. 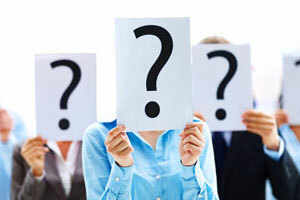 A person can also know about its life long’s finance condition and wealth astrology by date of birth. The 2nd house itself, lord and Jupiter represent accumulated wealth and is known to be one of the planet of wealth in astrology. The association of the 1st, its lord and the sun with the second and its lord increases the native’s wealth through his own efforts. If the 9th, its lord and the significators Sun and Jupiter are related to them, wealth is inherited. According to the Bhavarth Ratnakar, the native is rendered poor if the 2nd lord occupy the 12th and 12th lord is placed in the Lagna aspected by a Marak or a malefic planet. According to vedic astrology, financial prosperity in horoscope is indicative in 11th house as it is the house of gains and rules income. The 11th and its lord along with Jupiter must be strong to generate wealth. According to the Sarvartha Chintamani, if a benefic occupy 11th house, the native gets wealth through honest and novel means. If the malefic is in the 11th house, the native resorts to unfair and unscrupulous methods of earning. The source of gains and incomes can be known through the nature of the planet from the Bhavas related to the 11th, its lord and its significators. For example 7th lord and its Karak Venus associated with 11th may help the native to gain through the spouse. The 9th house represents fortunes and, therefore, if the 9th house, its lord, Sun and Jupiter are strong and associated with good houses, planets, luck favours the native with financial prosperity in the wealth astrology chart. When the 9th lord is placed in the 1st house of Lagna lord is in 9th house, the native is a self-made person and can face difficulties in retaining and accumulating wealth and finances in his life. 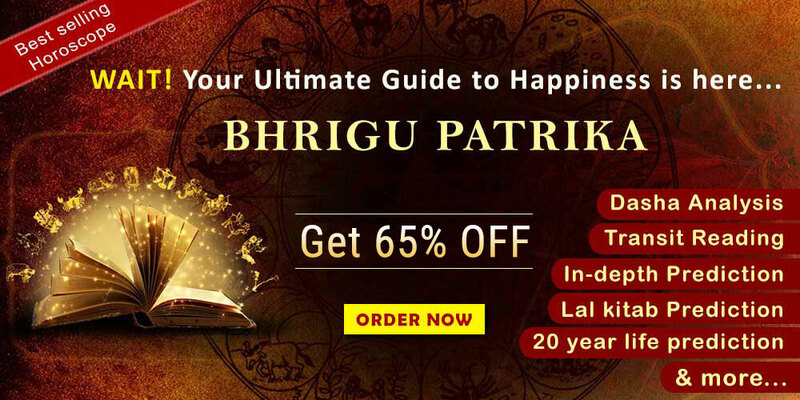 Lord or 10th house occupying 5th house will prove for tremendous financial prosperity in horoscope and as a great asset for a native bestowing abundant wealth which will never leave him. 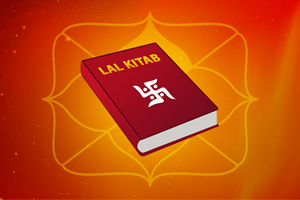 Laxmi Yogas: If lord of Lagna is powerful and lord of 9th house occupies own or exaltation position in Kendra or Trikona. One who has strong presence of Sun in wealth astrology chart can never be mean, vicious, criminal or untrustworthy. Therefore, he cannot adopt wrong means for livelihood. If lord of 2nd and 11th be placed or related with 6th/8th/12th while Mars is in 11th and Rahu is in 2nd, native will lose all his wealth on account of royal punishment. If Lagna, the lord and Sun are weak or afflicted and also have the association with Rahu or a malefic, the very foundation of Horoscope is deeply shaken. The native also suffers setbacks in his financial matters owing to wrong decisions. Good indications for the financial prosperity in horoscope are obtained from the Hora Chart regarding the flow of wealth in a particular Dasha period. During operational period of planets placed in a Hora of Sun, person has to make efforts to earn and accumulate wealth. During the period of planets placed in the Hora of Moon earning and accumulation come naturally without must efforts. To know wealth astrology by date of birth, in the Navamamsa Chart, Vargottam planets play very important role and according to the Astrological texts they cause Raj Yoga and bestow very good results. If powerful and benefic Sun is posited in upachaya houses aspected by the Jupiter, native is likely to get recognition and eminence in his career. Planets in 10th house in Dasamamsa Chart during the ruling period better the prospects of once career. The period of planets in kendra in Dasamamsa will be a milestone in one's career.